UPP leader Saviour Chishimba says President Edgar Lungu’s regime is more corrupt than Fredrick Chiluba’s. At a media briefing yesterday, Saviour said at least some of the corruption under Chiluba’s regime benefited the people. “I can assure you that this regime is more corrupt than the Chiluba regime because the Chiluba regime was doing corruption to benefit the people like when they sold houses to people. You shouldn’t worry because the PF/MMD regime is on its way out. I will deal with all those who are corrupt when I form government but for now I will continue exposing them until all culprits are brought to book,” Saviour said. Saviour also said his party was working closely with Transparency International Zambia in fighting corruption. Saviour further advised the Head of State to stop making unnecessary international trips and instead channel the resources towards increasing salaries for civil servants. And Chishimba said President Lungu’s threats to declare a state of emergency were nonsense as it was a ploy to abuse citizens’ rights. “These people think they can do whatever they want just because they are the party in power. The threat to declare a state of emergency is total nonsense and it is based on nothing. Declaring a state of emergency is just a ploy to start abusing the rights of citizens, we know it. We saw how the UNIP imposed a state of emergency which lasted for decades but the people united to get out the UNIP from power, you should go and ask Kaunda because he is the leading testimony of what happens when you try to become a dictator. We cannot entertain what is happening in our nation, people’s rights are being abused,” he said. Saviour also condemned destruction of public property saying it was tantamount to economic sabotage. “Right now the situation in the Republic of Zambia is very delicate. We cannot afford to start destroying property in the country, that is called economic sabotage because it will be the same people of Zambia who again will have to contribute in terms of taxes to repair all the property that is being damaged. So our appeal is that as much as possible, let us try to resort to peaceful means of resolving our conflicts. 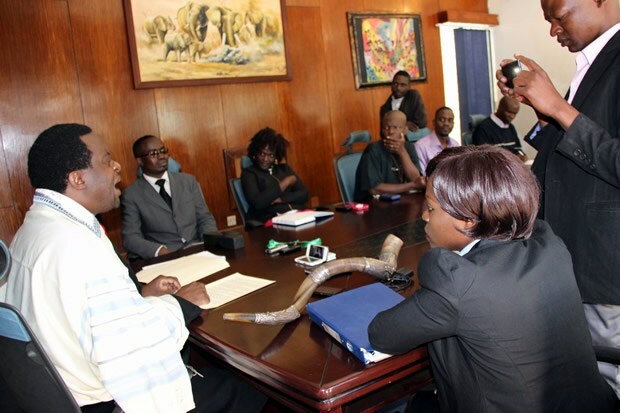 The situation is not irredeemable, I can assure you that the PF-MMD regime is on its way out. Let us be on our knees and pray that they are out,” said Saviour.